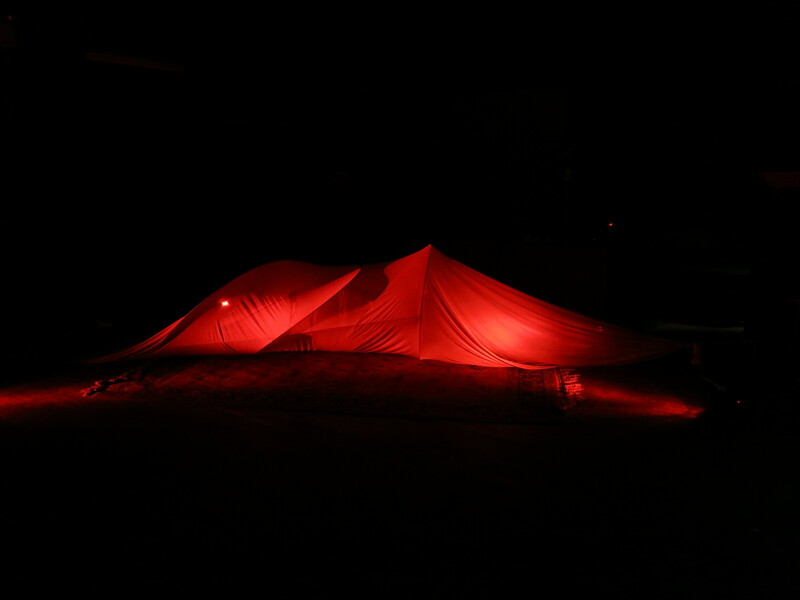 In Chrysalis the focus is on slow movements and the body as a whole – becoming conscious of the minimal movements within and of the body. 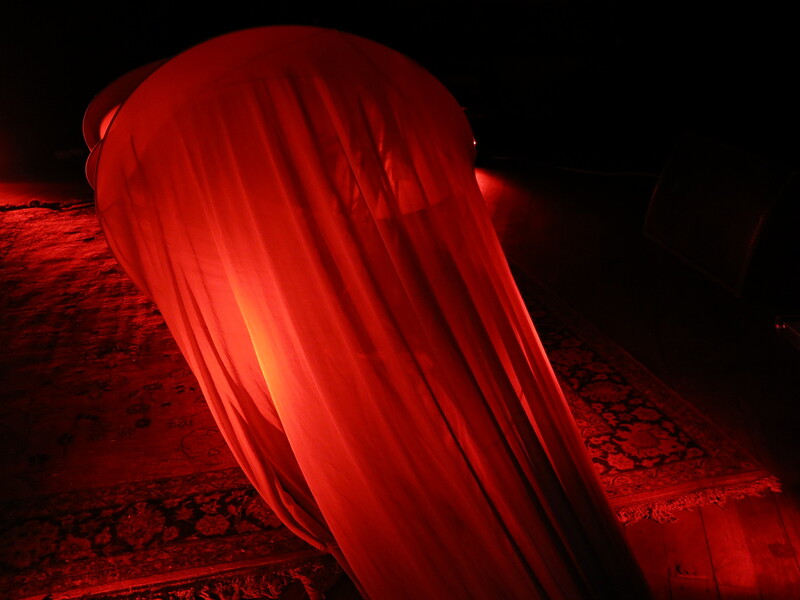 These minimal movements are amplified through the use of sensors and light and sound, and physical connections to the cocoon-like structure. 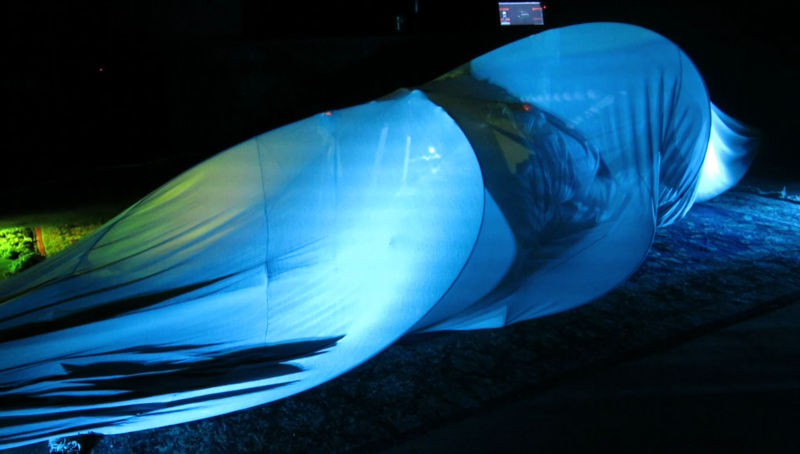 Light is projected onto the cocoon, shifting in colour and intensity based on the movements. 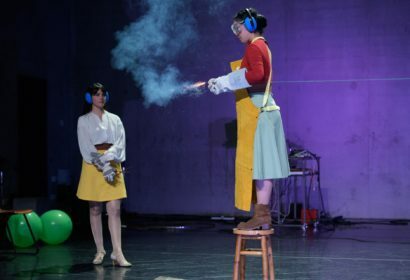 The sound develops based on the slow movements of the performer. The system is hypersensitive, and can shift out of balance by just a small movement. 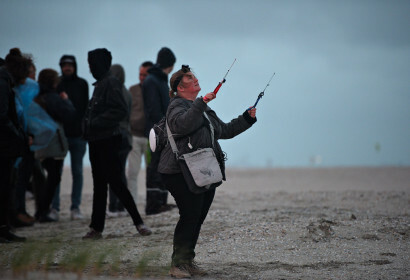 The sound model is a slowly developing, (mathematical) dynamical system in a stable mode, that can be brought into a chaotic mode through a small perturbation. Within the cocoon stretch sensors made from e-textiles are embedded, which connect the body of the performer to the cocoon. 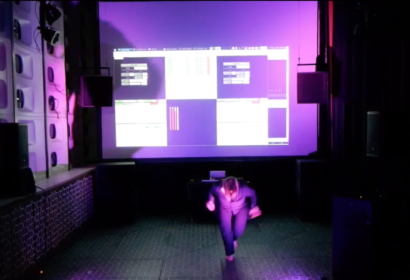 The data from these sensors is sent wireless to the computer with the Sense/Stage MiniBee, and translated with the code to sound and light. 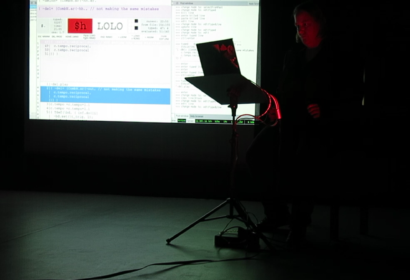 In the performance version, the maker herself is the performer of these small movements; by interchanging with livecoding the process of making the environment will be made visible, while the audience at the same time witnesses the outcome from the outside. An installation version is in development.